In Malaysia, there are two seasons to offer: blistering hot or exceptionally wet. When the weather is hot, we can only think about having cendol and ice-cream. Only a few things will come to our minds, but one in particular stands out from the rest: steamboat. 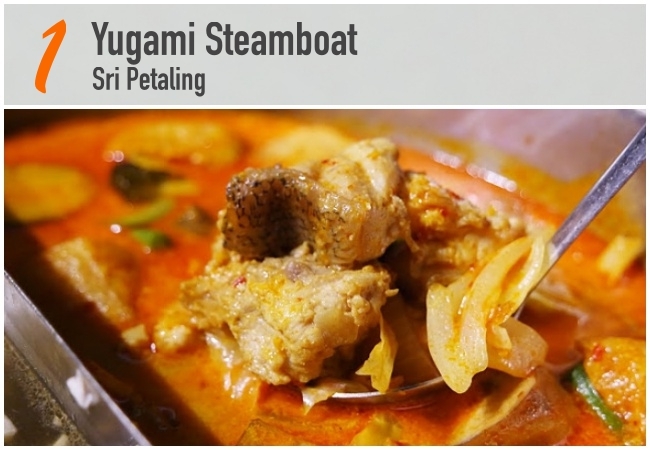 Check out these steamboats in KL and find out what makes them so special! This hotpot hangout is steaming up Sri Petaling with specialities of fish-based broths that linger pleasurably in the memory. Yugami Steamboat has a wide range of tasty ingredients that work well for soup-slurping and stomach-stuffing. Don't skip the excellent sauces – Yugami's attention to detail ensures that everything on the table should be lapped up. 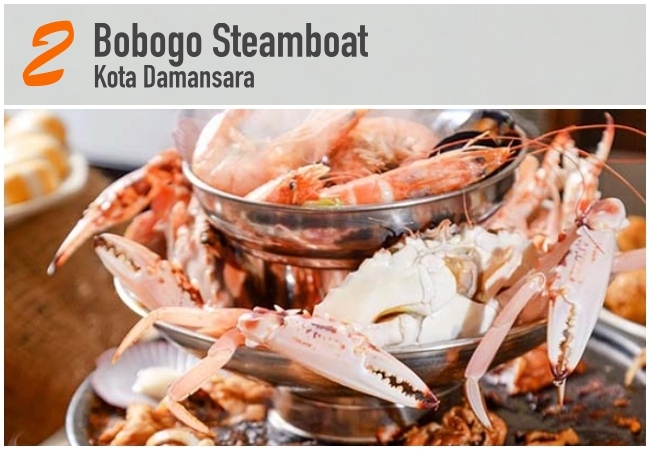 Situated in the ever-bustling square of The Strand, Bobogo Steamboat is easily spotted thanks to its front and centre position across Sunway Giza. In the interim between ordering and satisfaction, diners get to feed their aural stomachs with the savouring scent of boiling spices and sizzling meat whipped up by a chef backed by 15 years of experience. Those full years of cooking contribute to the house specialties, which include ready-to-eat dishes, grilled food served with their signature soup, and the special steamboat pot, a four-tier pot boiling with spiced broth and the customer’s choice of meat, vegetables, and seafood. 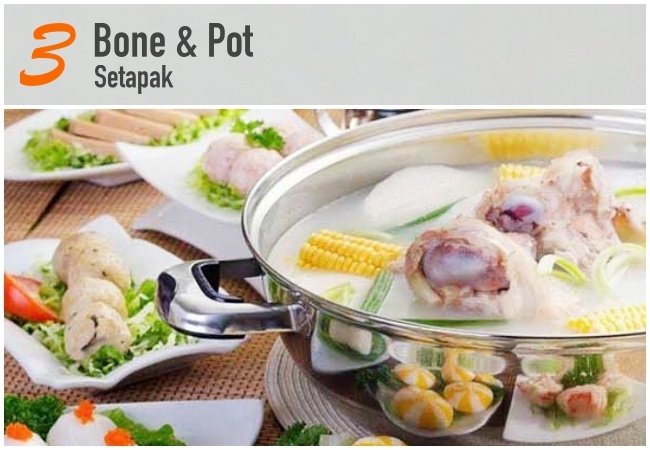 Bone and Pot's signature steamboat is famed for its Hong Kong origins and concept. 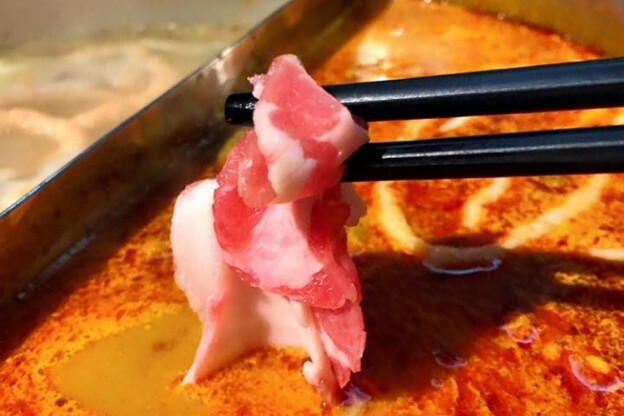 The restaurant's Chinese name " 有骨气 " (Yau Guat Hei) resembles bountiful prosperity, as Bone & Pot’s delicious broth base is made of quality bones for that original taste you crave for. The Bone & Pot delicacy consists of three important elements which are quality broth, fresh ingredients and irresistibly delicious dipping sauces. 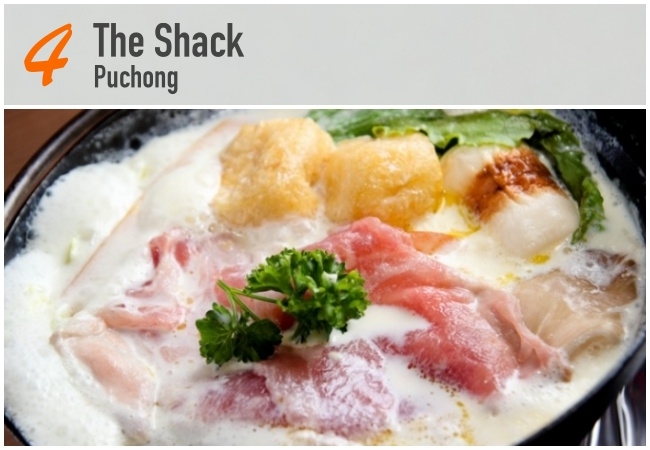 Originally from Taiwan, The Shack in Puchong brings you one of the most unique steamboat experiences. You can have it two ways – on the grill pan or the mini pot steamboat style. Furthermore, they have 15 different soup base to choose from. One of the soup bases that is worth recommending is the Cheese and Milk combination soup base. Every sip of the robust soup is rich with strong cheese and milk flavour! The Shack is usually packed with patrons over the weekends, hence reservation is highly recommended. Yook Pal Pal uses no MSG and preservatives with wide selection of authentic dishes, made with fresh and high quality ingredients. They provide customers a delectable dining experience in a friendly and comfortable atmosphere of the frugal meal at home. The typical Korean food is spicy. 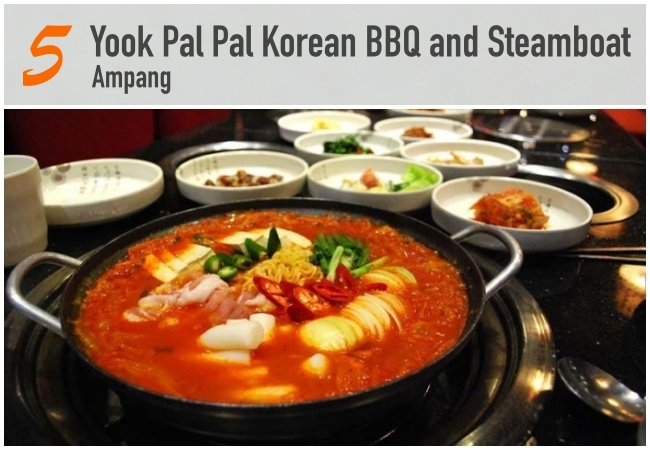 However, at Yook Pal Pal Korean BBQ & Steamboat Restaurant, the chef, Han Myeong Su can prepare your meal with different level of spiciness of your choice to meet your satisfaction.